The mobile website on the left is not Google Mobile Friendly , the text is too small, the number to call is too difficult to find and the search is difficult to manage. 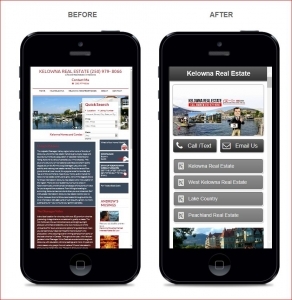 As an increasing number of people use their mobile devices to access information, realtors should be aware of how important it is to have a Google friendly mobile website. Google has predicted that over 60 percent of internet searches will be conducted via mobile devices like iPads or iPhones, making it vital for all small business owners to optimize their websites for this medium. 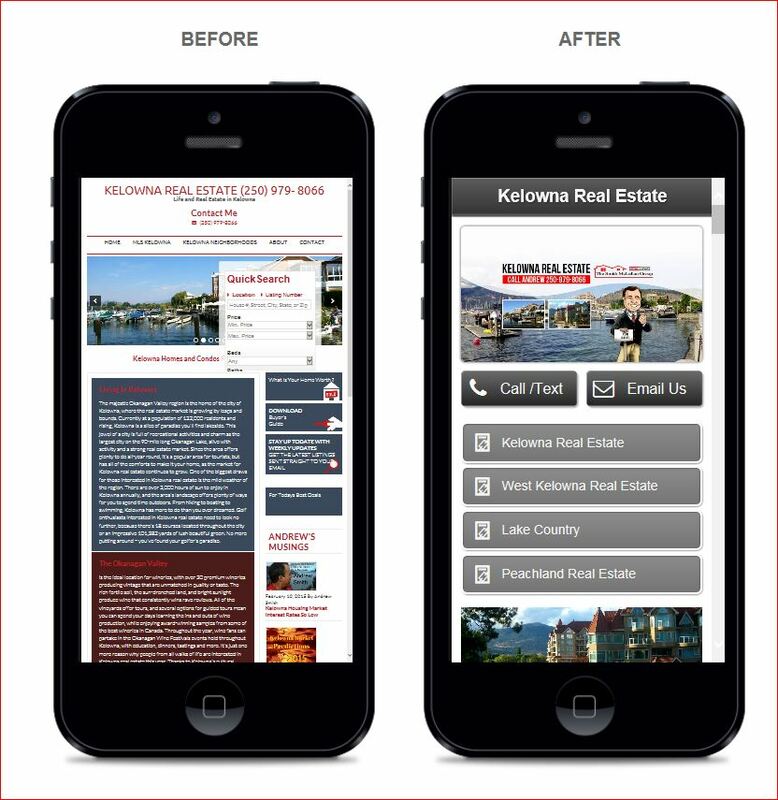 Simply put, the more effort a realtor puts into optimizing his or her mobile website to meet Google’s demands, the more traffic this website can expect. As a Business, you are probably a very busy person. After all, you have to constantly follow up on leads, visit clients, and show homes, just to make a single sale. What you must realize, however, is that your potential customers are equally as busy with work, family, and other commitments. As a result, they might check out house listings during their lunch breaks, on their way home from work, or right before they go to bed. In all of these situations, these people might use their smart phones or tablets to try to find a business. While on the go, customers don’t have time to sit down at their home computer. If these home seekers can’t find your mobile site via Google, it is highly unlikely that they will come across your listings and even less likely that they will buy a home from you. Internet marketing companies are very aware of the need for responsive sites. Whenever a buyer does a Google search for services in your city, a selection of options will come up. To the customer, all of these realtors are the same, as they don’t have any connection to you whatsoever. You could be the best, most honest realtor in town, but customers only knows what Google tells them. Therefore, you must give the customer a reason to click on your website and browse your listings. The first thing that you must do is make yourself visible. This means that your website must appear in the first few search results on Google. It is estimated that the first website that shows up in Google’s search rankings receives nearly 33 percent of the traffic for that search term. Overall, websites found on the first page of results receive over 91 percent of traffic for a particular search term, which shows the importance of being ranked highly. In basic terms, if your website doesn’t show up on the first page of Google for the most used search terms in your market, your business will suffer greatly.